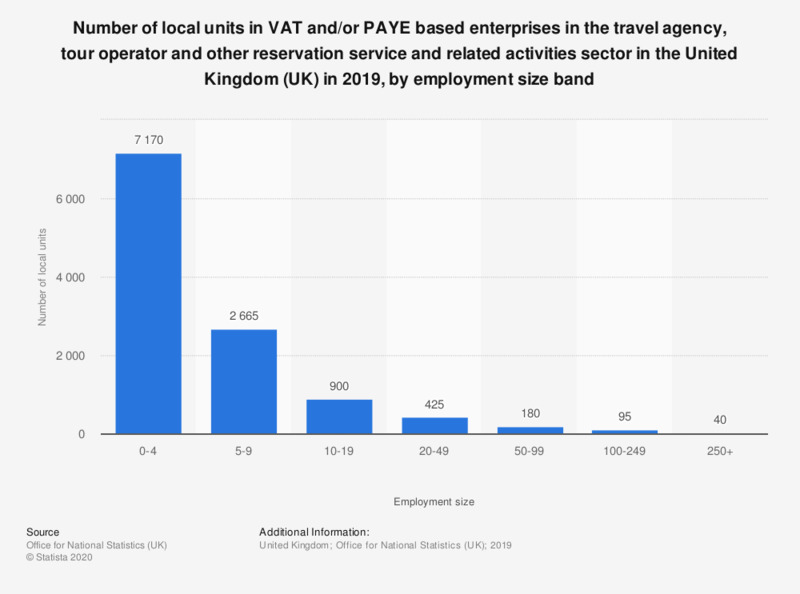 This statistic shows the number of local units in VAT and/or PAYE based enterprises in the travel agency, tour operator and other reservation service and related activities sector in the United Kingdom (UK) in 2018, by employment size band. In this year within this sector there were 885 local units with employment size between 10 and 19 employees in VAT and/or PAYE based enterprises. Statistics on "Tour operators in the United Kingdom (UK)"